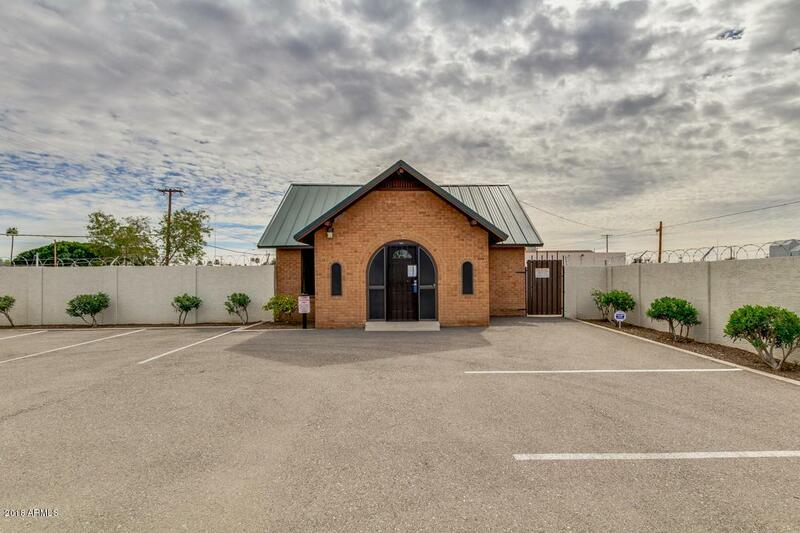 Own a piece of Mesa history with this beautiful brick office building that has been beautifully remodeled recently. Wonderful exposure for your business and conveniently located on a corner with great visibility and traffic! This building is equipped with a conference room, a bathroom, reception area, multi-purpose rooms along with a security/alarm system and wired for an intercom/paging system. The roof was replaced 3 years ago. The standing seam metal roof system will last longer than the new Owner! The East side of the building (closest to Mesa Dr) and along the back of the property has plenty of space to park 8-9 work trucks. Great location, near the 60 FWY and the 202 FWY.